Johnson Imaging seeks to partner with our customers in order to establish long term business relationships. We would like our customers to think of us as an extension of their office. Whether you need construction drawings reproduced, display boards for a presentation, or marketing materials; we have a range of solutions to meet your needs. We will gladly work with you to achieve your desired objective. We go the extra mile to serve you! Johnson Imaging has developed a program for businesses aimed at saving them money. We create and maintain your marketing materials. These items can range from business cards, to brochures, to job signs. Order what you need for the short term, and when you need to replenish your supply, just let us know. If you need to make a change or refresh the look of the piece, no problem, we can do that for you. We are a phone call or email away. Our goal is to place you in the best possible light. From event signage, to marketing materials, to helping you meet your deadlines, Johnson Imaging is your solution. Johnson Imaging works with individuals and companies to reproduce existing documents and/or create a variety of marketing materials. Click to learn more about the many ways we help you achieve your objective. 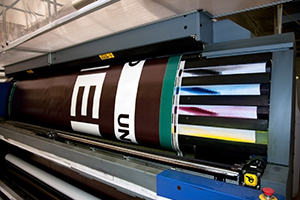 With our advanced print capabilities, we now offer vibrant eye-catching signage for a variety of industries. From signs and banners to window graphics, backlits, and décor, we’ve got you covered.